We all know smartphones and tablets are the new iPods but we can do a lot more with our mobile devices that just play our favorite tunes. Faster networks, vast online databases, and smart cloud services are turning our favorite gadgets into karaoke machines, recording studios, audio social networks, and more. Ever heard a great song in a bar or restaurant and desperately wanted to know the band or the title? Or you have a tune in your head but can’t figure out what it is? 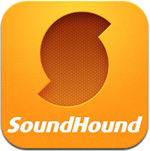 Fire up the SoundHound app and you will instantly have the answer! There’s hardly a recorded song anywhere that this super-fast search and discovery app won’t be able to recognize in just seconds. You can even hum or sing to it! Links to Facebook, Twitter, YouTube, Pandora and more. Listening to a song and want to sing along? 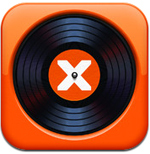 musiXmatch will identify songs playing nearby and automatically show you the lyrics scrolling in time to the music. musiXmatch boasts the world’s largest lyrics catalog, with over 7 million song lyrics in 32 different languages. Great for impromptu karaoke parties or those moments when you just need to give it your best Rihanna impersonation! 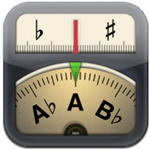 Cleartune turns your mobile device into a highly accurate instrument tuner and pitch pipe, allowing you to tune virtually any instrument. As your device’s built-in microphone gathers the sound of your instrument, a highly responsive “note wheel” helps you quickly find the right pitch. Works with acoustic or electric guitar and other stringed instruments, as well as piano, timpani, woodwind instruments and anything else than can sustain a note. Cloud DJ lets you unleash you inner Grandmaster Flash and mix your own music or music streamed straight from the Internet. 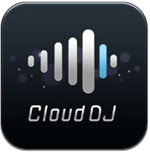 The entire Cloud DJ database of songs is available for you to mix, with many of them already mixed and uploaded by professional and amateur DJs from all over the world. Chosen tracks can be played back immediately. 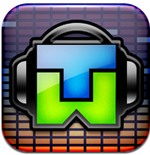 Just tap the waveforms to scratch and additional filters and faders will help deliver the sound you are looking for. Want to know when your favorite bands and DJs are coming to town? 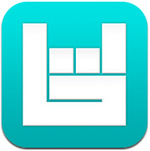 Bandsintown is the #1 concert listing and search app, providing you with a way to track live performances based on your preferences and location. 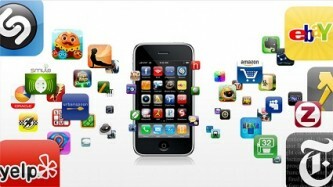 It provides notifications and links to box offices and ticket brokers, as well as sharing tools for Facebook, Twitter and more. Never miss out on another gig again! 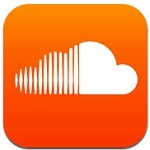 Described as the Facebook for audio, SoundCloud is the leading social network for music, audio files and sound bites. 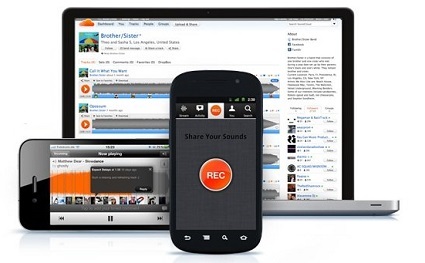 You can search the SoundCloud database based on your own preferences, follow your friends’ audio postings, or record and submit your own audio offerings. You can ‘like’ other people’s audio files, add comments, or search for like-minded friends and add them to your stream. A scrolling lyrics app with a twist! Not only can you use TuneWiki to sing along with your favorite tunes but you can also create your own lyrics to store or share with friends. Add photos to create your own LyricArt, or search for new or popular LyricArt submitted by others. You can translate lyrics into over 40 different languages and share images and lyrics on Facebook, Twitter and Instagram. 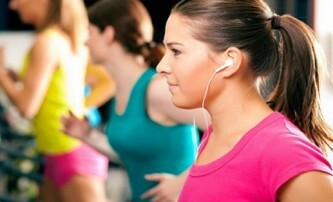 Are you missing the 80s and your Walkman? 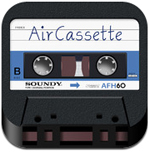 AirCassette transforms your iPhone into a cassette player, complete with spinning dials and the name of the band and song title written on the case. You can listen to music while you browse your collection, add tracks to you play queue, save queues as mix tapes and, even send tapes with your friends via Facebook, Twitter or e-mail.